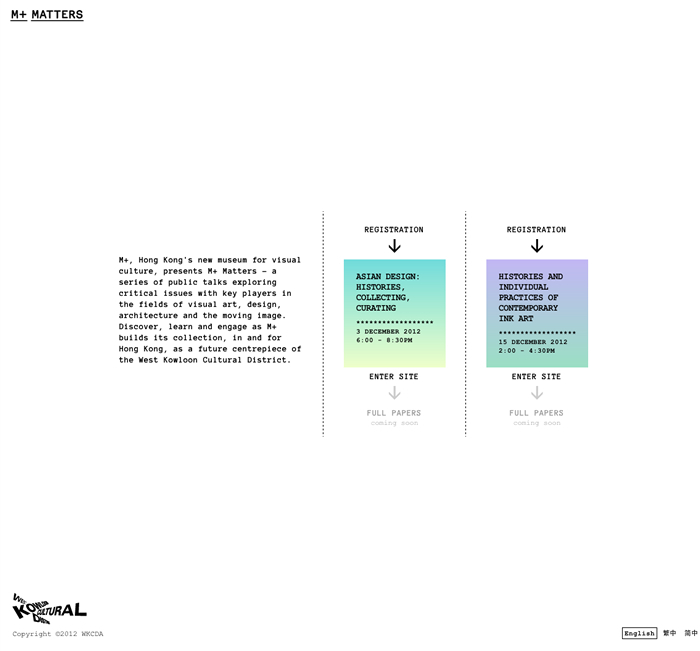 We’ve created the website for M+ MATTERS. 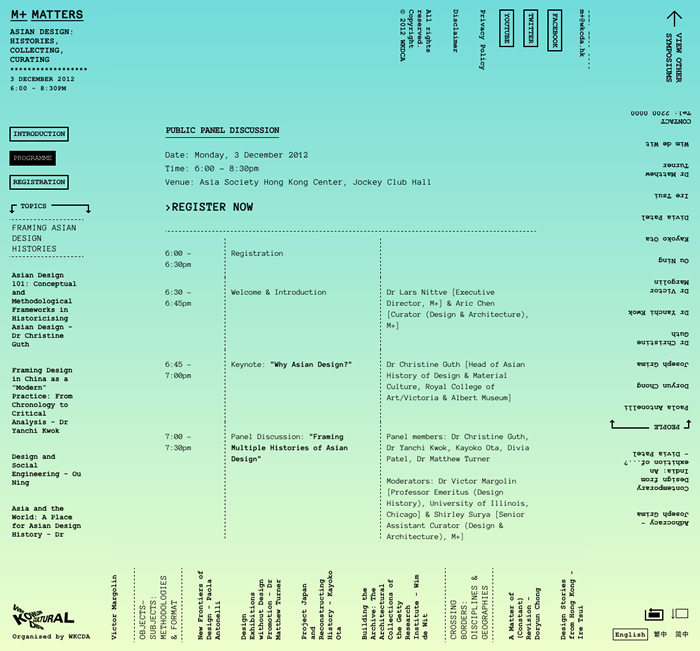 The event includes 2 public symposiums “Asian Design: Histories, Collecting, Curating” and “Histories and Individual Practices of Contemporary Ink Art”. 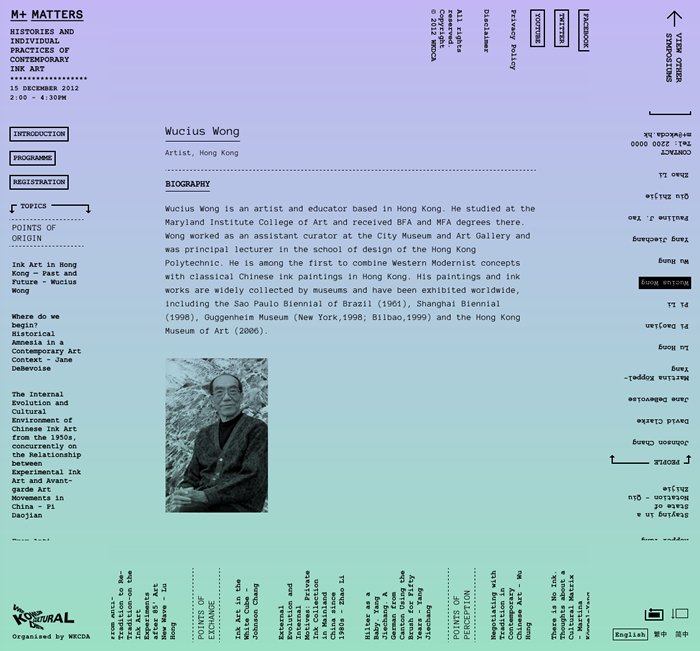 A series of public talks exploring critical issue with key players in the fields of visual art, design, architecture and the moving image. We designed a special navigation, it spins around the content.